We definitely think indefinite pronouns are important! 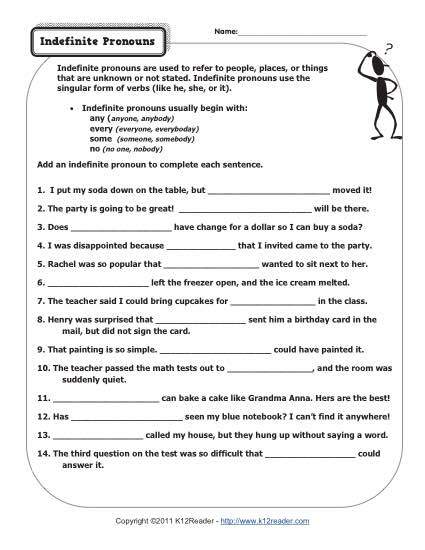 Whether it’s somebody, nobody or anybody, these pronouns play an important role in sentences. Your youngster will determine which one to use in each sentence. It’s great practice for 1st grade Common Core Standards Language Standards. Other students may use it as appropriate.